Lindsey assists clients in protecting their brands, creative works, and proprietary information. She provides guidance to clients regarding brand development, clearance, registration, and maintenance for national and international portfolios. Lindsey also regularly advises and assists clients regarding trademark and copyright infringement and enforcement issues including preparing and responding to cease and desist letters, representing and defending clients before the U.S. Trademark Trial and Appeal Board, and negotiating consent-to-use and co-existence agreements. 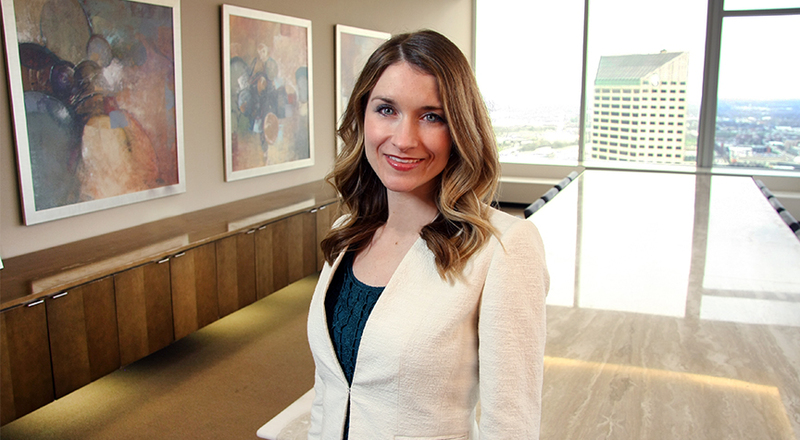 In addition, Lindsey counsels clients with regard to general operations and commercial strategy as they relate to Intellectual Property concerns, including negotiating licensing agreements, asset purchase agreements, confidentiality agreements, and assignments. She counsels clients regarding e-commerce matters and domain name selection, acquisition, transfer and disputes.